Not to be undone by the success of Playstation 3’s recent sales, largely in part to a $100 price reduction, Microsoft is now offering an incentive to purchase their gaming console. 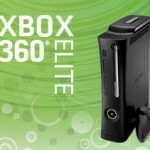 The company is giving a $50 rebate on the purchase of an Xbox 360 Elite console from Sept. 22 through Oct. 5. To get the rebate, go the Xbox Elite 360 rebate site. Enter 49710555 as the promotion password. Then follow the steps to get the rebate. The mail-in submission form must be postmarked no later than Nov. 20, 2009. In case you haven’t heard the latest, Sony sold 1 million 120GB PS3 “slim” models within the first 3 weeks of availability. That’s a 300% increase from previous weeks. The reduced price PS3 also helped fuel sales of PS3 related hardware. Not to be sidelined, Nintendo has also announced it will cut the price of its Wii gaming console. Effective Sept. 27, the Wii is expected to drop $50, down to $199. I think peeps who wanna go cheap will go with the $199 Arcade anyway.